Good news! OptionsHouse supports Roth IRA accounts! Check them out here. Open an account and get 60 days of commission-free internet trading (with a minimum of $5,000). If you are an active trader of stocks and options, finding a brokerage that is the perfect fit can be a challenge. Some brokerages offer excellent research and tools, but charge an arm and a leg for commissions. Others are designed for passive investors with a focus on ETFs and mutual funds. The sweet spot that has low fees and great tools for active investors is hard to find, but OptionsHouse might be just what you are looking for. OptionsHouse is owned by eTrade, one of the biggest online brokerage firms in the world. While it has the power and resources of eTrade standing behind it, OptionsHouse works independently of eTrade accounts, and an existing eTrade account is not required to open an account at OptionsHouse. As the name suggests, OptionsHouse is an options first brokerage. Options trading can be highly lucrative if you know what you’re doing, and having the best information to make quick, informed decisions is key. OptionsHouse is designed for this type of investor. For its unique combination of insights, tools, and fees, OptionsHouse has won awards and earned top rankings in several prestigious OptionsHouse reviews. StockBrokers.com calls OptionsHouse the number one options trading platform. Barron’s ranked OptionsHouse as the best online brokerage for options traders in 2017. If you are a beginner, OptionsHouse offers education modules to learn to use the OptionsHouse platform, how stock trading works, and how options trading works. Once you get past the beginner phase, or if you can jump in as an experienced trader, you will love the tools and cross platform support of your OptionsHouse account. Opening a new account with OptionsHouse requires the standard information for any online financial account. You enter your email, create a username and password, then go on to enter your contact information, social security number for tax reporting, and employment information. The entire signup process takes about ten minutes, though it can be much quicker if you are a fast typer and have all of your signup information on hand. OptionsHouse fees are extremely competitive. For both stock and options trading, OptionsHouse fees are among the lowest in the industry. A few other brokerages just joined OptionsHouse at the “around $5 per trade” tier, but OptionsHouse has been at this low rate for quite awhile. Competing brokerages that offer trades around $5 include Ally Invest (formerly TradeKing), Charles Schwab, and Fidelity. You will be hard pressed to find any options trade fees below $4.95 plus 50 cents per contract. That is a great deal. Competitor eOptions charges a slightly lower fee that can save money for advanced, high frequency traders, but overall OptionsHouse offers a great experience with a great value. There are no basic account fees or minimums, so you can enjoy an active trading experience with high volume or a low-volume beginning account without fees or worries about minimum balances or activity levels. OptionsHouse is known for its powerful and flexible trading tools. When you login to OptionsHouse and launch the trading platform, you can customize and configure everything on the screen to give you the information you need as quickly as possible. In just a few clicks, you can load up a trade into the trading tool, research a stock, or just review the overview of your account and active positions. Thanks to the combination of low fees and great online trading tools, newer investors can get into the trading game at low volumes and not worry about their entire gain being eaten up by fees. Experienced traders can dive in and feel confident they are making the right decisions on bigger plays without throwing away hundreds or thousands of dollars in fees every time they want to take an action in the markets. You can trade both stocks and options through the platform in a few clicks. Each has its own custom screens to get the information you need to make a trade. If you think the markets are about to move, you don’t want to waste a minute finding information and entering a trade. With OptionsHouse, you can put every second to good use. When you are away from the computer, you don’t have to give up access to trade tools. OptionsHouse has unique experiences designed for Android phones, Android tablets, iPhones, and iPads in addition to the browser based experience. The OptionsHouse platform supports trading stocks, options, futures, mutual funds, and ETFs. 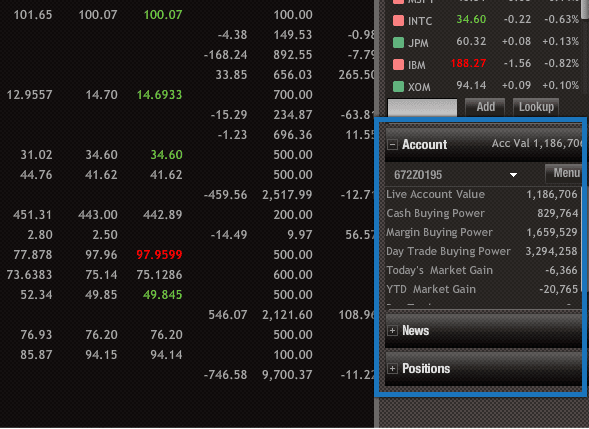 OptionsHouse offers three account types. Each account works a little differently, so it is important to open the right account when you get started. Cash account - The basic cash account allows you to fund your account from a connected bank or brokerage. Use that cash to buy and sell various investments in your OptionsHouse account. Margin account - Margin accounts allow you to borrow funds from OptionsHouse to invest for an additional cost. This allows you to earn even more when your investment decisions lead to a big payoff, but if you bet wrong you are liable to pay back the investment loss. IRAs - Open your Traditional IRA or Roth IRA account to invest for retirement with a tax benefit. Even non-customers can get a taste of OptionsHouse learning tools, for example with this free Option Fundamentals course. Courses, articles, and modules are available for first time traders looking to get started, intermediate traders looking to level up their skills, or advanced traders looking to refine their skills. Examples of lessons include how to conduct fundamental analysis and how to read technical analysis. Learn what each line, dot, and number on the stock charts means. Get an understanding of how mutual funds work compared to ETFs. Or login and view a strategy webinar. Advanced lessons include using pro-level options tools, refining your strategy, placing complex orders, and customizing platform views to show exactly what you want to see when you login. Beginners or advanced investors alike can take advantage of PaperTRADE, OptionsHouse’s version of the stock market game where you can trade with fake money to test strategies. Beginning investors might be overwhelmed by the extensive options and tools at OptionsHouse, but it is a place any trader can call home. There are no fee-free ETFs or mutual funds, which is common at some of the largest investment firms. But those are a focus of passive investors, not active ones. Active investors will feel right at home at OptionsHouse. With great tools and low fees, even the most active trades will be happy with the OptionsHouse experience. Whether you are looking to open your first account for active investing or want to upgrade to a better experience, you won’t be disappointed if you choose OptionsHouse. Very competitive commission rates The uniting of OptionsHouse and TradeMONSTER in 2014 under the OptionsHouse name was a fantastic marriage for current and new customers. OptionsHouse’s platform is top notch and commission rates are extremely competitive. Lower price and more trading tools While OptionsHouse may be a discount broker, its offerings easily stack up against more expensive options. The company frequently shows up in our best-of lists, and takes the top spot for options trading because it delivers what most seasoned traders want: fast execution and plenty of sophisticated trading tools at a low price. Great choice for expert traders OptionsHouse is a bargain for seasoned investors, but isn’t the best option for less experienced traders. Great for trade options OptionsHouse are a good broker for anyone who’s looking to trade options for the first time. Their range of options training is second to none and you shouldn’t underestimate the level of training required to become proficient in options. Cheaper ommission structure options per contact Options House offers a commission structure is fixed and fairly competitive. The options per contract pricing is cheaper than most of the big retail brokerages. The stock pricing is flat rate at $4.95, but most of the traders using this broker are probably not trading much stock. 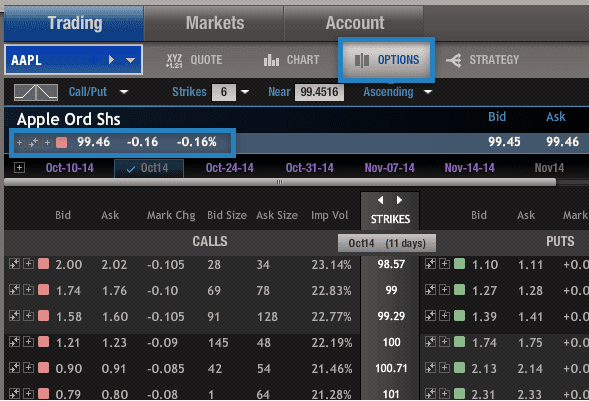 I would like to see an option centric broker that is even more competitive in options pricing. Affordable structure fees I think that the low fees are a major selling point for OptionsHouse. They have the lowest fee structure in the industry and a low cost per contract for options trading. Lowest fees for individual stocks If you are looking to buy an individual stock or ETF, you'll have a difficult time finding a more budget friendly brokerage firm. Not for investing long-term A low-cost broker that targets options traders with some advanced research tools. While great for active traders, long-term investors wanting to purchase mutual funds or make a few trades a year might want to look elsewhere. Trading tools and low costs are the pros OptionsHouse has a winning combination of low trading costs and fees plus some of the best options trading tools around. They may not offer the same additional resources as other brokers, but that wouldn't be your primary reason for choosing OptionsHouse in the first place.